Any epoch has its own heroes, and just before the 70th anniversary of the Second World War Victory, we would like to tell about the photojournalists of that time. To great a real photography – always not an easy job, and sometimes even physically hard job. But of course the military correspondent take a special place among professional photographers. Their outstanding pictures – not only a piece of art, but also a memory, warning and evidence… And always a life risk. 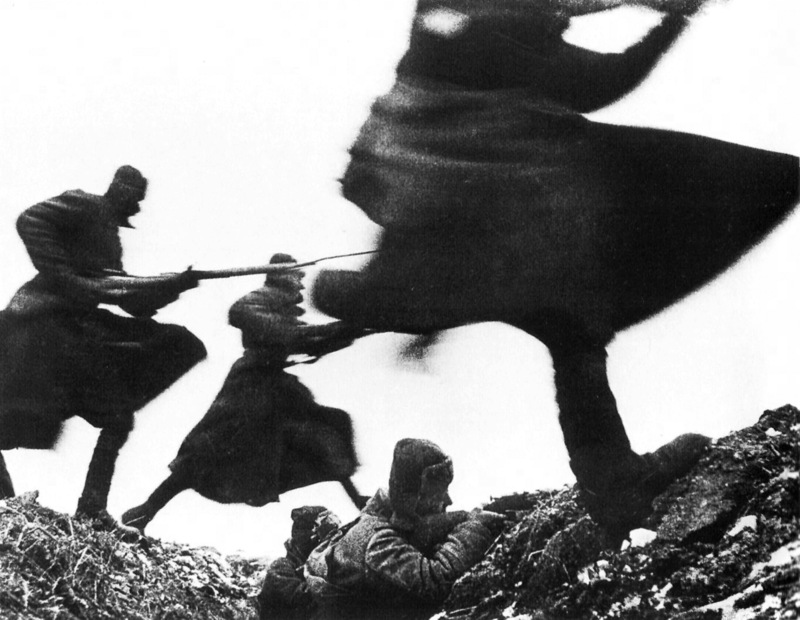 During the Second War slogan “Everything for the front, everything for the Victory! ” was not neglected by the photographers. Military correspondents were fighting equally with soldiers of the Red Army, and had been taking the pictures at the same time. Their courage and talent gleaned a real chronicle of this incredibly hard and evil war, the joy of Victory is shown. Among the great names, that created the genre of a Soviet military photo reportage at that time are Max Alpert, Natalia Bode, Mark Markov-Grinberg, Jakov Rumkin, Mikhail Savin, Evgeniy Haldey… We can talk a lot about them, but today we will make a story only about several pictures – the acknowledged epoch symbols, about the history of their creation and about their authors. Max Vladimirovich Alpert was born in 1899 in Simferopol. The future distinguished Soviet photographer had studied in Odessa, after the Civil War he worked in Moscow in “Rabochaya Gazeta” (Newspaper for workers). Little later he started collaboration with the Magazine “USSR na stroyke” (USSR of building site), which was created by Maxim Gorkiy, and with the newspaper “Pravda” (The truth). The most prominent of his works before the war were picture stories about building of Magnitka, Turksib railway and the Great Fergana Channel. He also was taken pictures of politicians, writers, military men. During the Second World War he became the photojournalist of “TASS photo chronicles” and “Sovinfombureau”, he had been take pictures in the rear and on the front line. He had been awarded with the Order of Red Star and Orger of the Second World War of the II level. After the Second World War the photographer worked in the press agency “News”, and assisted to other editions. Military pictures by Max Alpert always had been distinguished by their emotional power, and his photograph “Kombat” (battalion commander) is considered the symbol of the Second World War. 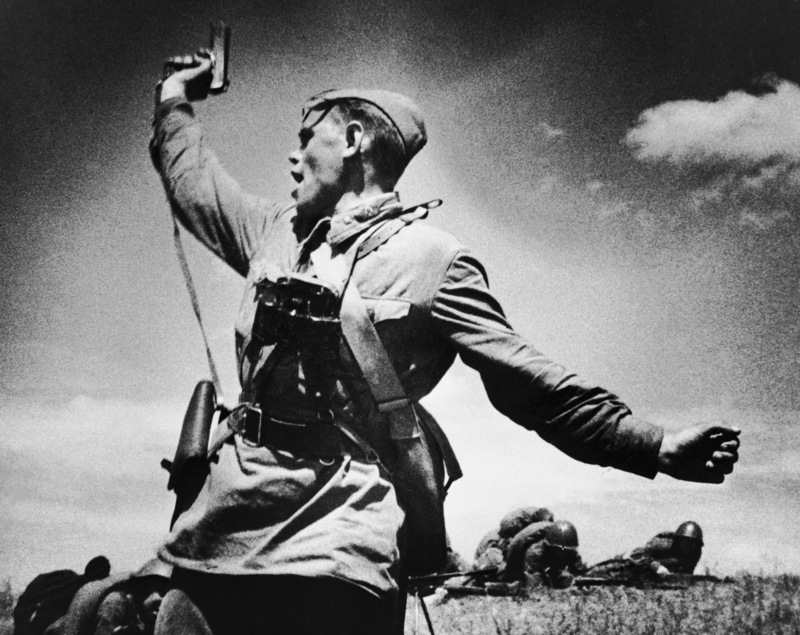 The second military photographer, we want to tell you about is Dmitry Nikolaevich Baltermantz. He was born in Warsawa in 1912, in 1915 his family had removed to Moscow. He started to work when he was 14 – he was photographer’s assistant, decorator, cinema operator, printing press operator, architect’s assistant. In 1939 when he finished mechanical – mathematical faculty of Moscow State University, he became the teacher in the Higher Military Academy, but he worked there quit a short time. His love to photography made his fate. He became photojournalist of the newspaper “Izvestiya” and when the war had started he was sent to front. His Collaboration with the newspaper had been suddenly canceled in 1942 as a result of a very unpleasant story, that happened with one of his picture. Whe Dmitry just returned from the front for several day to print out the pictures he had shot nearby Moscow and Stalingrad he left them to dry out un guarded in the editors office. At night one of his pictures had been taken without permission for the morning issue. The editor under titled the picture “German tanks put of action”, but at the same time there were English tanks that were in the inventory of the Soviet militaries on the picture. All the responsibility for the wrong information had been put on the photographer and Baltermantc became the private of the penal battalion. He became the journalist of the Army newspaper “For battering the enemy” only in 1944 after the heavy leg wound and treatment in the hospital. Front photography by Dmitry Baltermantc often had been taken place on the forefront line of the battle and almost everytime had been quit risky. He had been awarded twice – by the Order of the Red Star and the Order of the Second Workd War of II level. His photographer’s carrier was not easy after the War. He could not find job for a long time, but then he had been employed by the magazine “Ogoniyk”. He had been working there to the last day of his life. One of the really revolutionary works by Dmitry Baltermants, that goes forehead if its time was shot during the counter-attack of the Soviet Army nearby Moscow in 1941. The picture of foot soldiers with bayonets at the trial is taken from the low shooting angle. 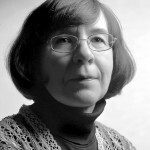 After publication the picture had been criticized because of stepping away from the sosil realism, where the image of not a full-bodied figures were not allowed. The dynamics fascinates the viewer creating the image of fearless and severe army, and the composition of the picture was quite unusual for that time. But experience had proven that a real photographer should trust his feeling and possible go ahead of his time. At the end of today story – several words should be told about two pictures without which the military reportage of that time could not be determined. The author of these pictures – Evgeniy Anan’evich Khaldey was born in 1917 in Donetsk. He became a photojournalist very early, when he was 16 years old, since 1939 he already had been working in “TASS photo chronicles”. The most well-known reportages of that time are about Dneprostroi and Alexey Stakhanov. From the very first days of war Evgeniy Khaldey had been the photojournalist, he had come a long way to Berlin with his camera “Leyka”. In his memories about beginning of the war he wrote: on June 22 I came back from Tarkhan where the centennial of Lermontov death had been commemorated. I took pictures of the kids from the literature studio. One boy was reading a poem: “Tell, uncle, was it in vein that the Moscow burnt in fire …” (Poem “Borodino”, M.U.Lermontov), and I asked him to repeat it again and again to make good doubles. If I only knew! So I arrived to Moscow in the morning, come to my house, I was living nearby German Ambassy, I saw Germans unloading sacks with stuff and deliver them to the Ambassy. I could not understand what is going on. At 10 o’clock I gor a telephone call from photo chronicle and I was ordered urgently come to work. At 11 o’clock Levitan started to speak on the radio: Attention, this is Moscow speaking, all radio station are on… at 12 o’clock an important government message will be announced”. He had been repeating it for the whole hour – everybody had frayed nerves. At 12 o’clock we heard Molotov’s voice, he was slightly stuttering. And here we heard the terrible: “… was bombed our cities Kiev, Minsk, Belostok”. 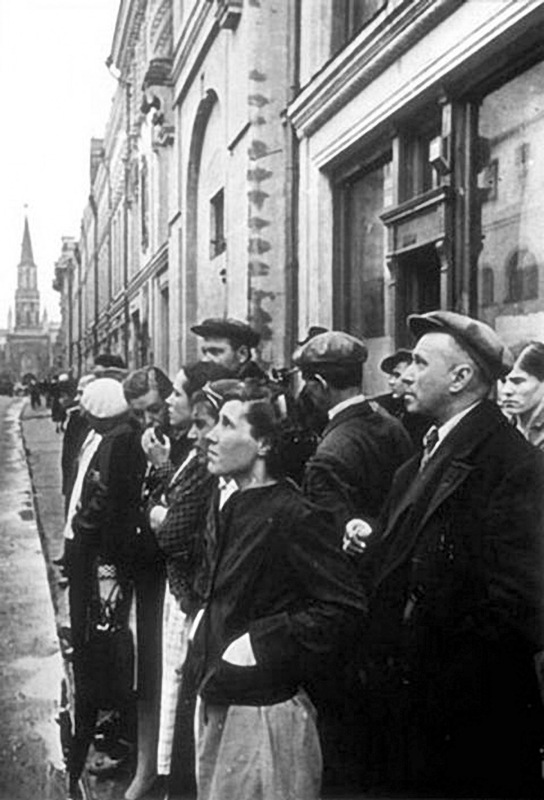 The picture “The first day of war” Evgeniy Khaldey took June 22, 1941 in Moscow. It is the moment of war announcing on this picture. As far as he had been understanding the meaning of the events, the master had an ability to reach the outstanding expression of the exposure, sometimes even making a small the posed composition. The story of creating of the cult photograph – “Flag above Reichstag”, shot early morning on May 02, 1945. By the order of the editor Evgeniy Khalday arrived to Berlin just several hours after the street battles had stopped. 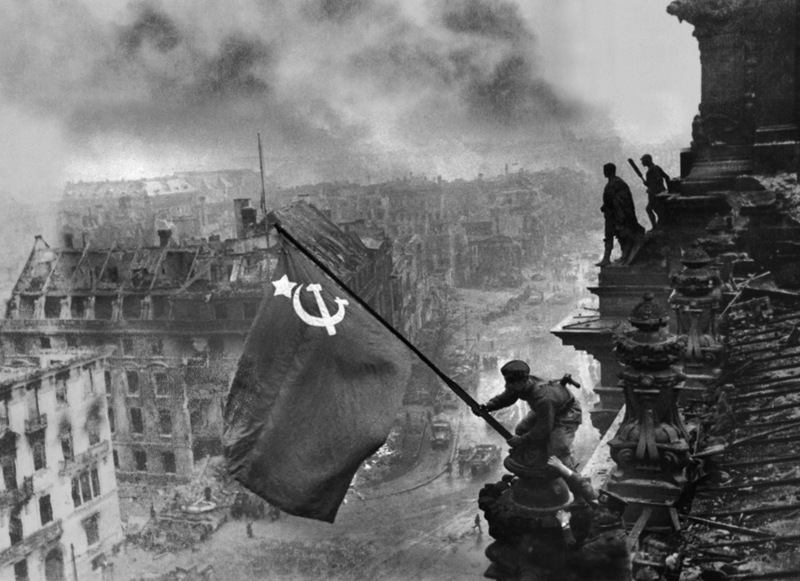 The red flag was brought by photographer from Moscow and the flagstaff was found right on the place in the occupied building of Reichstag. Khaldey asked to pose for the photograph soldiers that he met there. The author told his memories about the shooting: “We were (on the Reichstag roof) four there, but I could remember quit good Kiever Alexey Kovalev, who was fixing the flag”. I had been photographing him for a long time. In different poses. I remember that we felt chilly… Foreman of the Gvardeyskaya Krasnoznamennaya reconnaissance company with Bogdan Khmelnitskiy order of the Zaporozhskaya rifle division Abdulkhakim Ismailov from Dagestan and Minsk native Leonid Gorjichev. 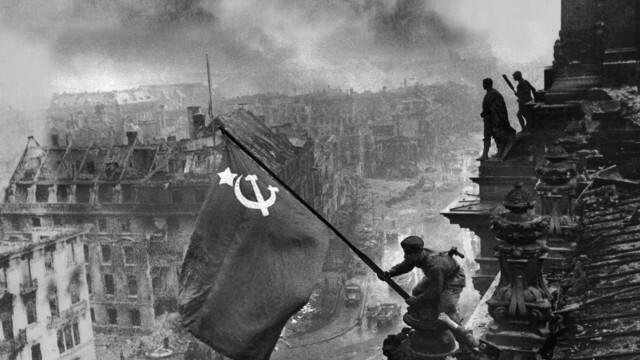 After shooting in the evening Evgeniy Khaldey flew to Moscow to deliver the photograph to the editor, and then again returned to Berlin – to photograph the days of the Great Victory. The official version of the photograph before the publishing was retouched – the contrast was increased, dramatic effect was underlined by the smoke plume on the background. More over on the editor’s request author delited the second watch (by other versions it was compass) on Abdulkhakim Ismailov’s hand, who was supporting Alexey Kovalev with flag, and the flag was made of bright red color. Military photographs by Evgeniy Khaldey were used as a material evidence on Nuremberg judgment, had been published in press, as illustrations in school books, in memories and in books about the Second World War. The became a real legend and well-known perhaps to everybody. After the war the life of photographer did not go easy – he had been fired from TASS because of not enough level of education and political knowledge, and he started to work in the newspapers again only in 1960s. The most known photographs of that time are about civil life of the former soldiers. Perhaps, many people know the photographs from that article, but the names of the creators are not known to everybody. Remembering the days of the war that is far away now, we should thing about courage of the military correspondents, who put all their heart and talent in the Great Victory! Сайт зарегистрирован Федеральной службой по надзору в сфере массовых коммуникация, связи и культурного наследия: Эл №ФС77-29734 от 28 сентября 2007г. Мы будем благодарны, если вы разместите баннеры "Введенской стороны" на своем сайте.